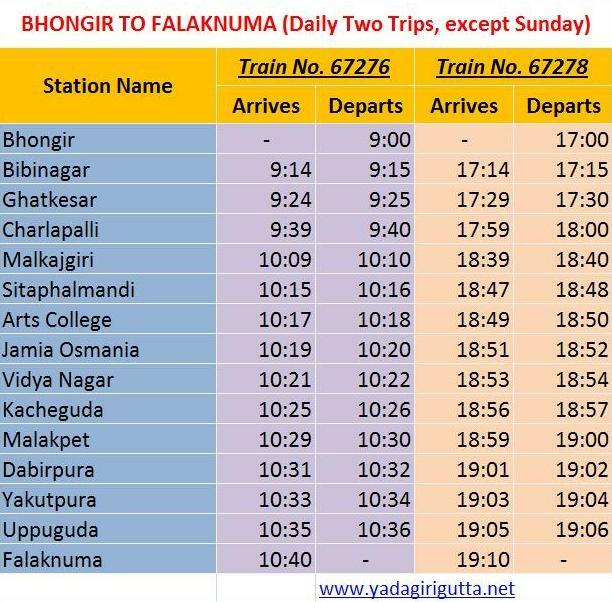 Much Awaited and the demand of decades for the Local Train from Hyderabad to Bhongir is fulfilled after the announcement of 10 months of the time table for the same (see previous post here). 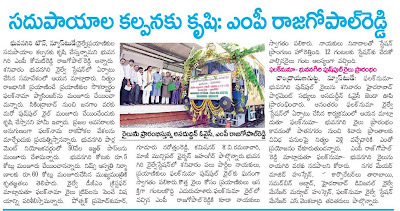 it might be Telangana Agitations effect or any other reason, we have seen some new local trains are started recently within Telangana Region, such as Kacheguda to Miryalguda, Kacheguda to Nizamabad, Falaknuma to Medchal and Falknuma to Bhongir for which the people of the surroundings waiting from decades and demanding regularly to their MPs, MLAs and Railway Authorities. 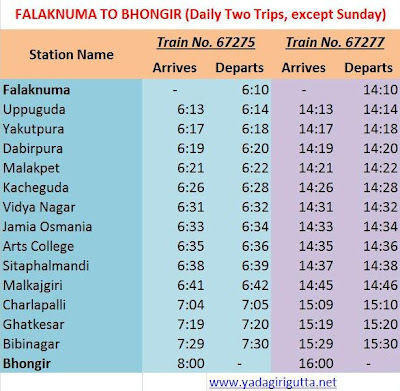 The Train was started on Satarday (31.03.2012) with flag off by Asaduddin Owaisi, MP Hyderabad at Falaknuma Station in which Rajagopal Reddy MP, Bhongir was traveled to Bhongir and flag off the train for its return Journey to Falaknuma at Bhongir. 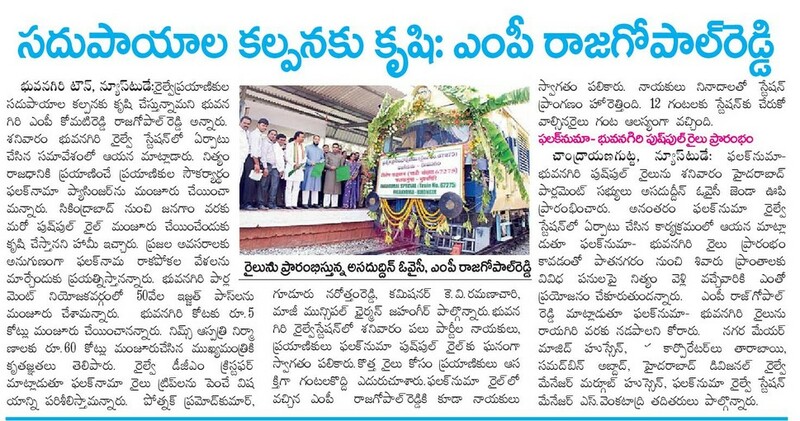 Rajagopal Reddy said, he requested to the Railway Authorities to extend train up to Raigir (which is nearest station to Yadagirigutta) and start third trip of the same train upto Jangon, which are under review and based on the passengers response railway authorities may increase trips. 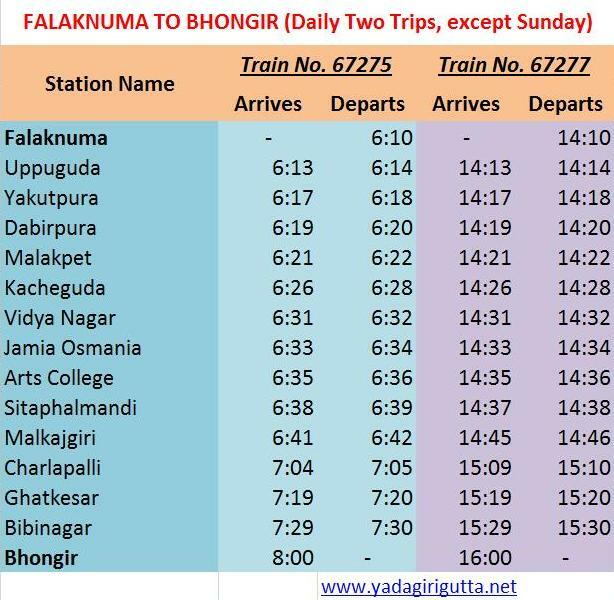 Since the Hyderabad citizens are very regularly visiting yadagirigutta, i think this train will be more convenient to them, as it is stopping in 12 MMTS stations of the twin cities such as Falaknuma, Uppuguda, Yakutpura, Dabirpura, Malakpet, Kacheguda, Vidya Nagar, Jamai Osmania, Arts College, Sitahaphalmandi, Malkajgiri, and Charlapalli. this train also very convenient to the Bhongir and Yadagirigutta surrounding people to reach their destinations since it is stopping in MMTS stations of Hyderabad. 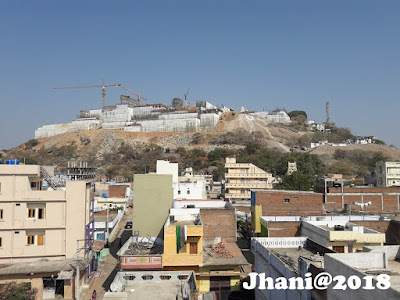 Please note Yadagirigutta is just 14 Km from Bhongir and travelers can easily get Auto and RTC Buses from Bhongir Railway Station to Yadagirigutta.